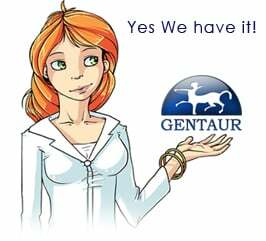 Gentaur antibody-antibodies.com The Marketplace for Antibodies : Theta, a new class of glutathione transferases purified from rat and man. Theta, a new class of glutathione transferases purified from rat and man. Glutathione transferases (GSTs) of a novel class, which it is proposed to term Theta, were purified from rat and human liver. Two, named GST 5-5 and GST 12-12, were obtained from the rat, and one, named GST theta, was from the human. Unlike other mammalian GSTs they lack activity towards 1-chloro-2,4-dinitrobenzene and are not retained by GSH affinity matrices. Only GST 5-5 retains full activity during purification, and its activities towards the substrates 1,2-epoxy-3-(p-nitrophenoxy)propane, p-nitrobenzyl chloride, p-nitrophenethyl bromide, cumene hydroperoxide, dichloromethane and DNA hydroperoxide are 185, 86, 67, 42, 11 and 0.03 mumol/min per mg of protein respectively. Earlier preparations of GST 5-5 or GST E were probably a mixture of GST 5-5 and GST 12-12, which was largely inactive, and may also have been contaminated by less than 1% with another GSH peroxidase of far greater activity. Partial analysis of primary structure shows that subunits 5, 12 and theta are related to each other, particularly at the N-terminus, where 25 of 27 residues are identical, but have little relationship to the Alpha, Mu and Pi classes of mammalian GSTs. They do, however, show some relatedness to subunit I of Drosophila melanogaster [Toung, Hsieh & Tu (1990) Proc. Natl. Acad. Sci. U.S.A. 87, 31-35] and the dichloromethane dehalogenase of Methylobacterium DM4 [La Roche & Leisinger (1990) J. Bacteriol, 172, 164-171].